Noname Gypsy’s appearance on Chance the Rapper’s brilliant Acid Rap is only short, but it’s one of my favourite verses on the whole record. 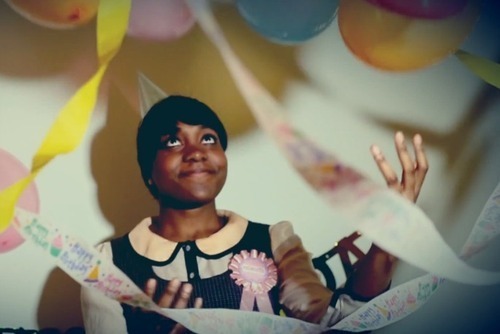 After seeking out Noname’s stuff, her buoyant, loose sing/rap style has quickly grown on me. A lot of her verses so far are backed and sandwiched by easy hooked beats and chilled breezy vocals, but she’s got a really nice springy flow and she hits a genuinely sweet, heartening vocal tone. On two of her best tracks, “Sunday Morning” and “Paradise”, she combines the abstract with nonchalant social commentary in her lyrics, playfully professing in the latter her desire to become “the Bob Marley of this rap music”. Her intelligent lyricism and the creative smooth jazz production make each song charmingly unique – at only 21, this early stuff is well promising. If her upcoming mixtape Telefone is as good all-round as her releases so far, she could be about to step out into the hip-hop limelight.